What a difference two decades can make. The first time I visited Croatia, I found drinkable but boring wines. The years of socialism — when quantity was emphasized over quality — had taken their toll. The violent break-up of Yugoslavia also delayed progress. Italy-bordering Slovenia emerged first, and wines from that gorgeous little country became fashionable years ago. But the name “Croatia” still lacks caché, even today. I suspect that’s going to change, and soon. 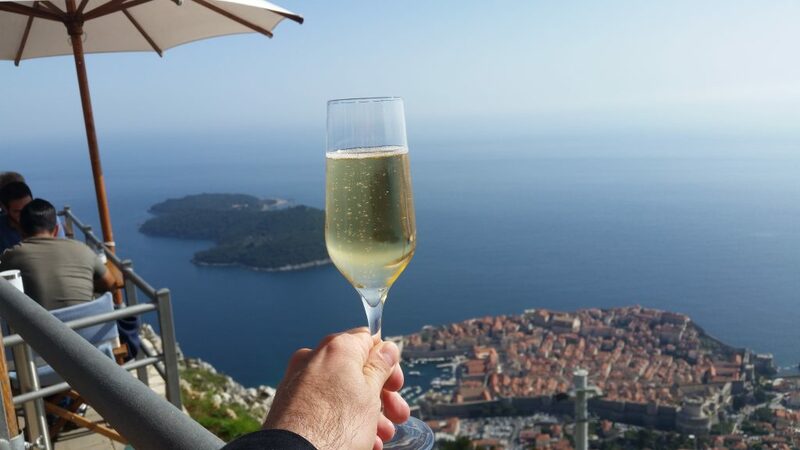 On my recent driving tour from Šibenik down to Dubrovnik along the Adriatic coast, I discovered dozens of delicious wines, and a handful that absolutely dazzled. It makes perfect sense that Croatia can achieve vinous greatness. Look at a map of the country, and you’ll see that its coast has an ideal southwest aspect, and a latitude that’s well-nigh perfect, ranging between Bordeaux and Tuscany. Look closer at the coast, and you’ll find steep, ancient terraces that must be worked by hand, where vines grow in the sort of stony soil high-quality wines love. The terroir is hard to beat. Plus, my heavens, it’s gorgeous to look at. My jaw kept dropping to the floor of my tiny rental car as I drove along sensationally scenic narrow roads lined with weathered limestone mountains, hill towns, olive groves and sea-side vineyards. How many times did I almost drive right off a cliff while gaping at the view? Some Croatian wineries work with international grape varieties like Syrah and Chardonnay and so forth, but most work with the country’s numerous unique indigenous varieties. Like Portugal, Greece, Georgia and Turkey, Croatia grows all sorts of wonderful vinifera grapes that grow nowhere else. Although one Croatian grape, at least, does indeed grow elsewhere: Crljenak. You might know it by its more familiar name, Zinfandel. In spite of these unique grapes grown in gorgeously ideal terroirs, few Croatian wines make it to American store shelves or wine lists, and few American tourists book wine-themed tours to Croatia the way they do to Napa, Bordeaux, Mendoza, Tuscany and the Douro Valley. Why? Croatia has a number of problems. First and foremost, Croatia’s language has a distinct lack of vowels and an overabundance of unusual diacritical marks. What are you more likely to pick from a wine list? A Rebula from Slovenia, or a Grk from Croatia? Or perhaps I could interest you in a Krajančić Pošip from the island of Korčula? A little refreshing Kujundžuša, perhaps? No. No one is ordering any of that. Mostly because no one can pronounce any of that. Next is the issue of quantity that I mentioned earlier. 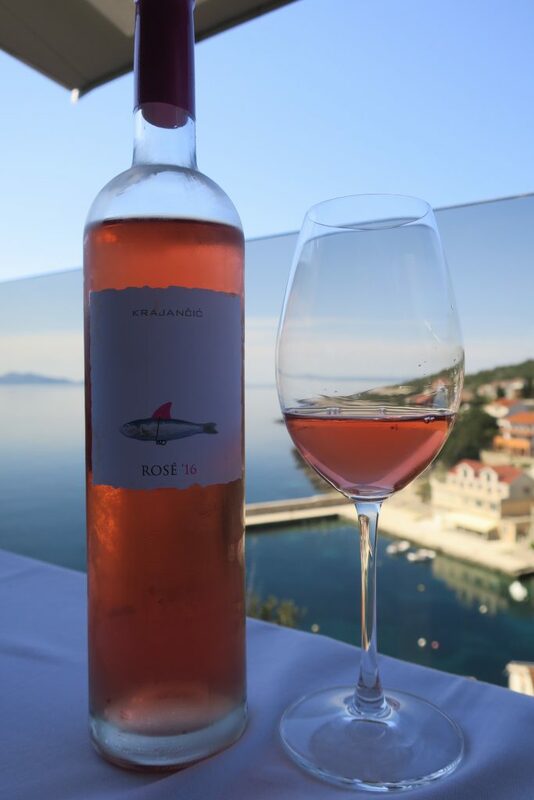 There simply isn’t all that much Croatian wine to go around, and much of what is produced is consumed locally. Those astonishingly beautiful terraced vineyards plunging towards the sea can’t be worked with machinery; everything must be done by hand. 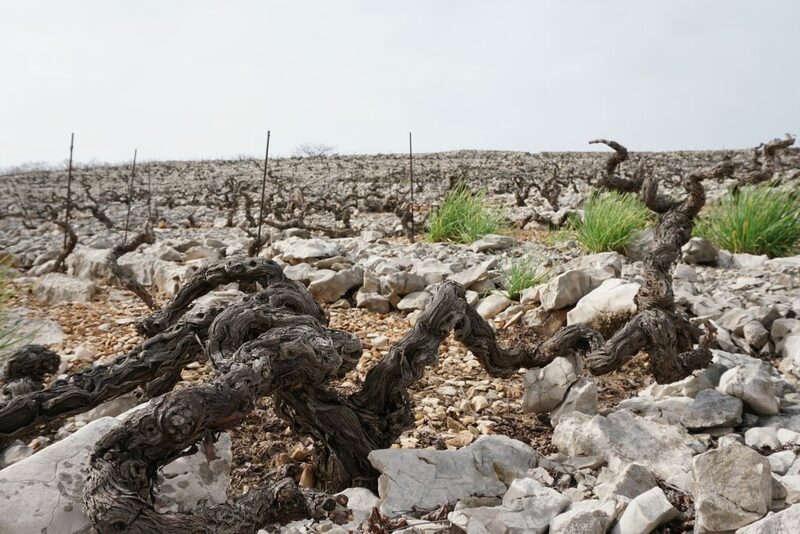 The inhospitably stony soil on the coast makes life difficult for the vines, resulting in less, more-concentrated fruit. And Croatia, as countries go, just isn’t very large. More and more American tourists do go to Croatia, but for ages, all the ads, guidebooks and travel magazines marketing the country have trumpeted its scenic beauty — archipelagoes filled with pristine beaches! — and the historical riches of cities like Split and Dubrovnik. When Americans go, it’s likely as a shore excursion off a cruise ship or, if they’re lucky, they’ve chartered a yacht for a week to sail down the coast. Few travelers, my friends at Exotic Wine Travel excepted, go for the wine. Every now and then it pays to be a wine blogger. Also, many Americans don’t seem to know where Croatia actually is. When I told people I was headed there, I got all sorts of interesting questions about its location. One of my acquaintances asked if it was once part of the Soviet Union, and another asked if it would be cold, because isn’t it near Ukraine? It is neither of those things. Coastal Croatia feels far more like Greece than it does Central or Eastern Europe. Kristina, the sommelier of Diocletian’s Wine House in Split, introduced me to this sparkling rosé of Plavina. It was just the beginning of a three-hour tasting extravaganza she organized. The wines ranged from delicious to unforgettable, and the setting was just as memorable: The wine bar incorporates three ancient Roman arches. 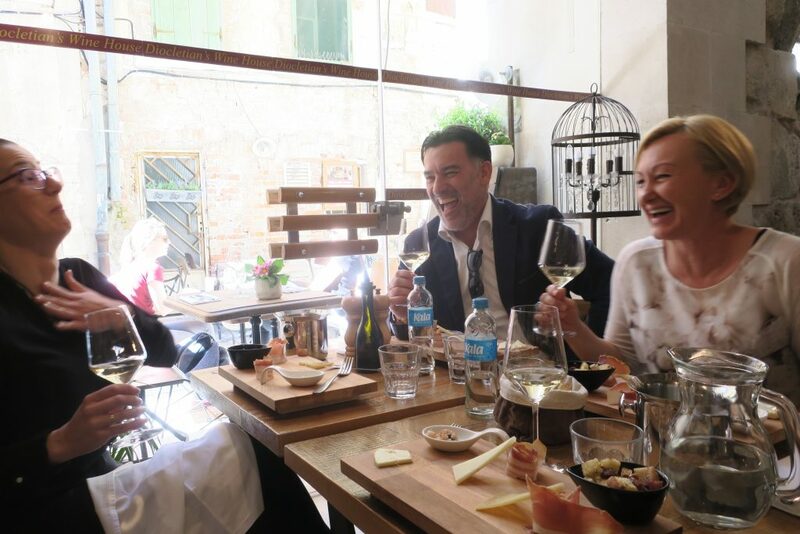 If you’re in Split, don’t miss the chance to taste wine at Diocletian’s Wine House. But to the Degarra. This wine comes from near Zadar on the coast, as opposed to the inland Plešivica region, Croatia’s sparkling wine capital. I loved its aroma of fresh berries, elegantly small bubbles, sharply focused acids and minerally finish. The rare white Grk grape grows almost exclusively in one corner of the picturesque island of Korčula, one of the loveliest islands in all of Europe. I learned that Grk has only female flowers, so growers of the variety often plant Plavac Mali as well, to ensure that the Grk gets pollinated. Bire receives lots of praise for its Grk, and I can see why. When I took a sip, the wine felt as if it should be heavy in the mouth, what with its rich white fruit and creamy, buttery goodness. But any weightiness evaporated almost immediately — the wine felt like a cloud on my tongue. Quiet acids kept everything in balance and worked well with food, and I also enjoyed the note of bitter orange in the back of my throat at the end. Fascinating! Maraština, also known as Rukatac, doesn’t seem to rank among the most sought-after white grapes in Croatia, but Rak makes a superlative version. 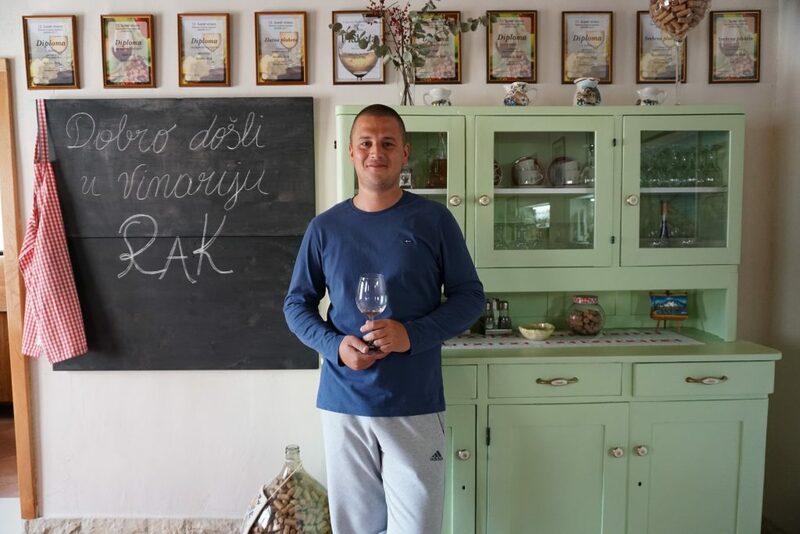 Winemaker Ante Rak explained that the highest-quality Maraština comes from around Šibenik and Primošten, because “the land is deeper here, and Maraština works best in deep land.” It had a complex aroma, with melon, cream, spice and something savory underneath. The wine tasted full bodied and rich with stone fruit, balanced by refined, driving acids and focused white-pepper spice. “Babić can be a standard wine or something very special,” Ante told me, and this Babić, aged three years in new oak, is something very special indeed. It smelled wonderfully expensive, with lush raspberry jam and oak notes. “Girl, bring it to me!” was what I wrote in my notebook after giving the wine a sniff. The rich flavor was full of currants and oak, leavened with bright sour-cherry acids and a finish of fine-grained tannins. This is the kind of wine I expect to have in a high-end steakhouse. Big and beautiful. Tribidrag is the original name of Crljenak, or Zinfandel. I tried a number of Zinfandels in Croatia, many of which had jammy fruit and punchy oak, similar to what one might find in Zinfandel from California. The Rizman Tribidrag, however, “is more of a gentleman of a wine,” as Kristina of Diocletian’s Wine House noted. The aroma was of ripe — but not jammy — cherry fruit, with a lift of herbaceous freshness underneath. The wine tasted full and powerful but carefully controlled, as opposed to brash and bold. This was one classy Zin. Those familiar with Croatian wine might be wondering about two glaring omissions from the list above: Pošip and Plavac Mali. I did taste some stupendous versions of each. Indeed, I tasted so many wonderful Pošips and Plavac Malis, I decided that each grape deserved its own blog post. 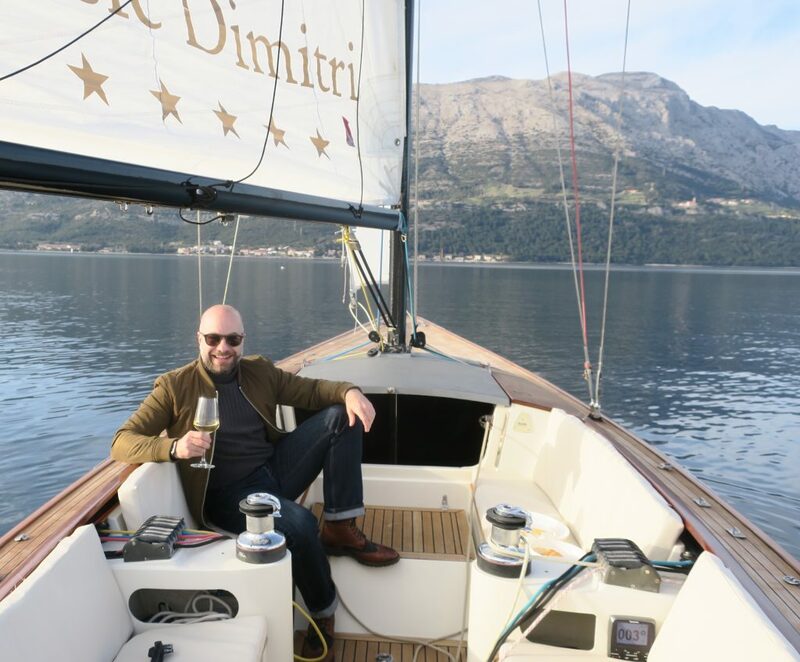 Stay tuned to learn about two of the most exciting wine grapes in Croatia, or for that matter, anywhere in the world.